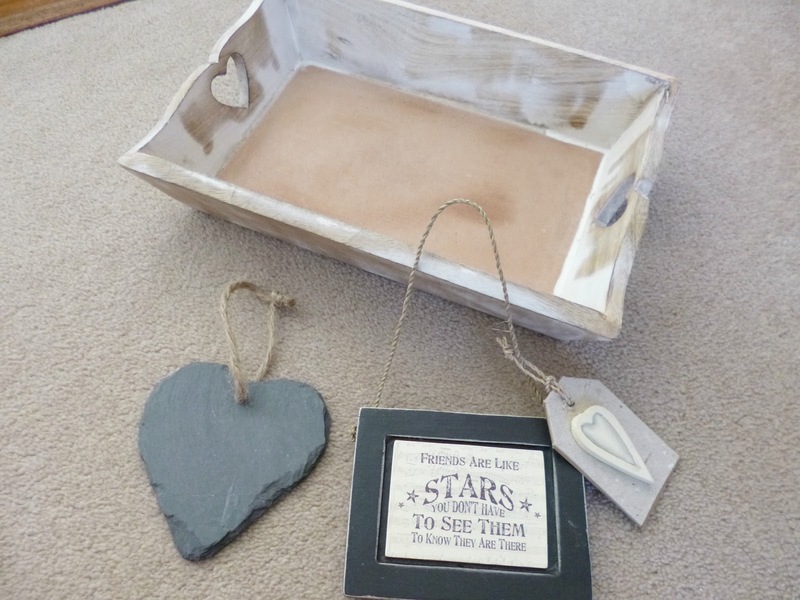 I don’t know about you but haul posts are some of my favourites to read, it gives you inspiration as well as having a good nosey at peoples purchases! 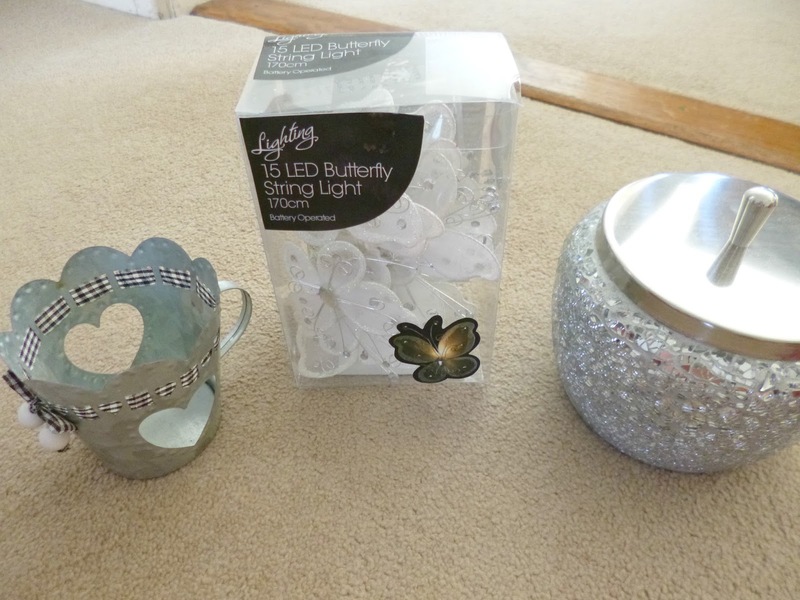 Its safe to say that i am completely obsessed with shopping for uni stuff,whether its stuff to decorate my room with,kitchen ware or bath stuff. 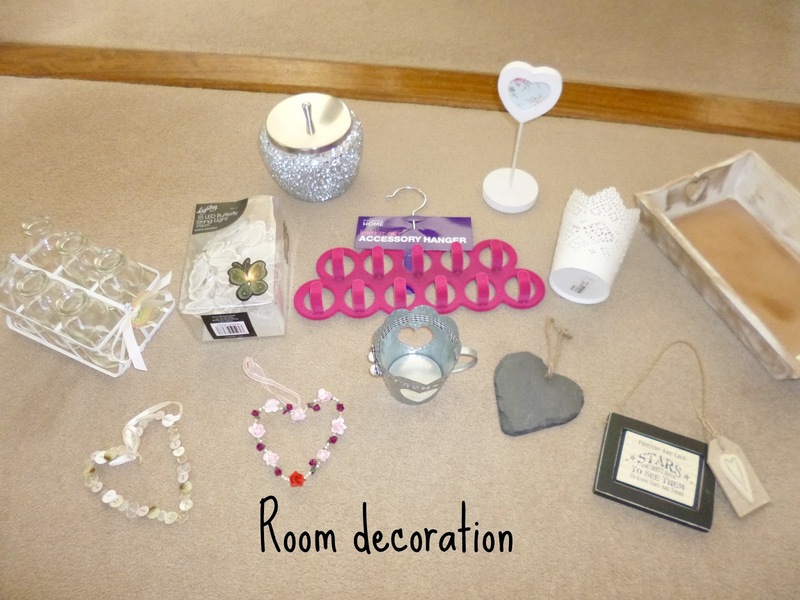 You will find me frantically rummaging the aisles of TK Maxx and Wilkinsons weeks months before uni starts in search of the best stuff, so here is what i have been haulin’! 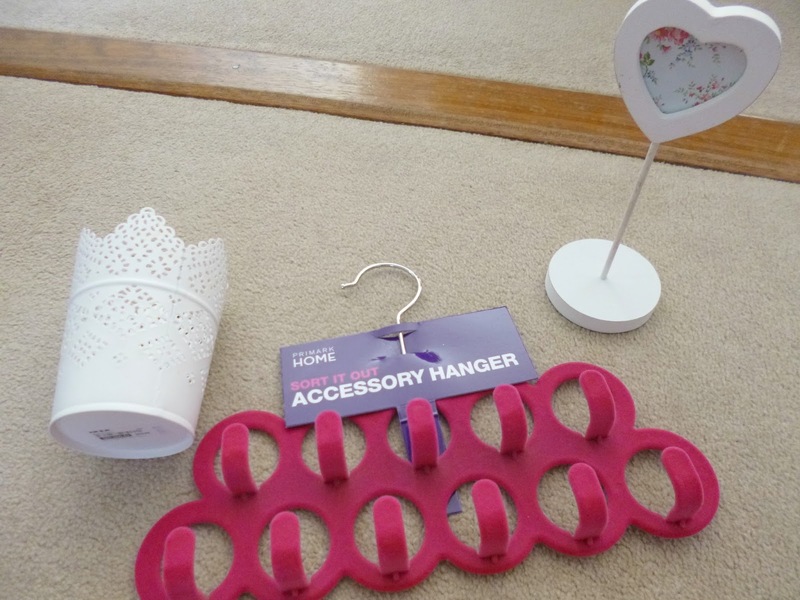 Here is a selection of the prettiest stuff i have bought for my kitchen, i have excluded all of the basic stuff because i’m sure everyone knows what a plate looks like haha. 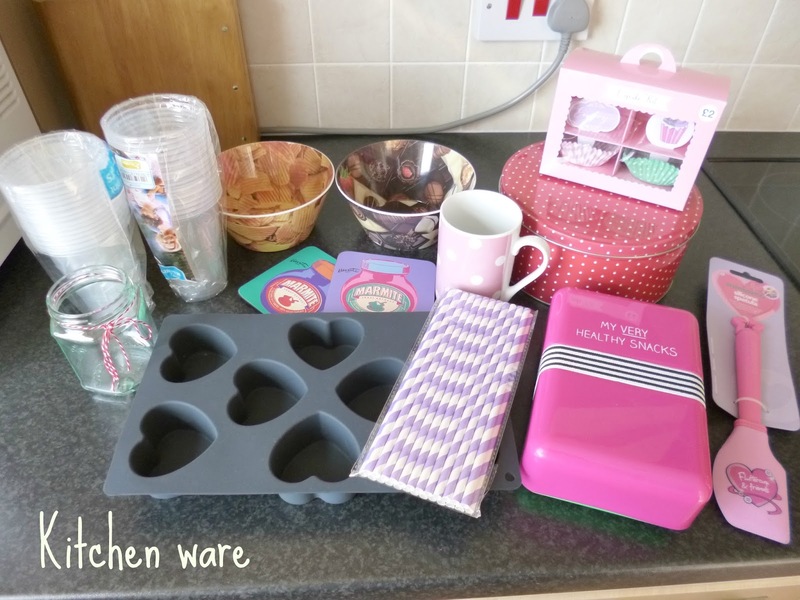 All of this stuff literally cost me next to nothing, the polka dot tin will come in handy for hopefully all of the cooking i do….I picked the heart shaped cake moulds up from TK Maxx and they are amazing,i think all food looks better when its heart shaped in general! 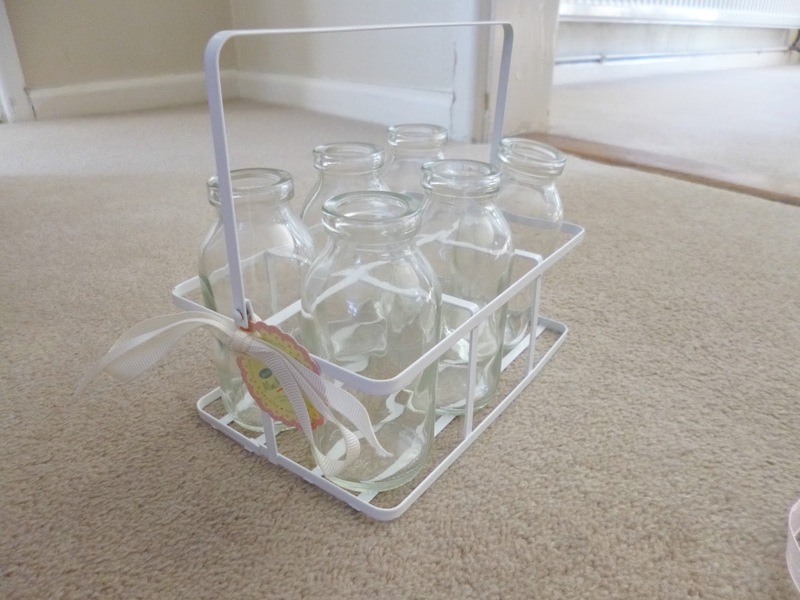 Yes the plastic cups are pretty boring but they are a necessity for student life, the amount of glasses i have had stolen/broken from pre drinks is incredible,this way when people come round i don’t have any washing up after either! In the midst there is a few other essentials, a princess spatula is vital for every cook! 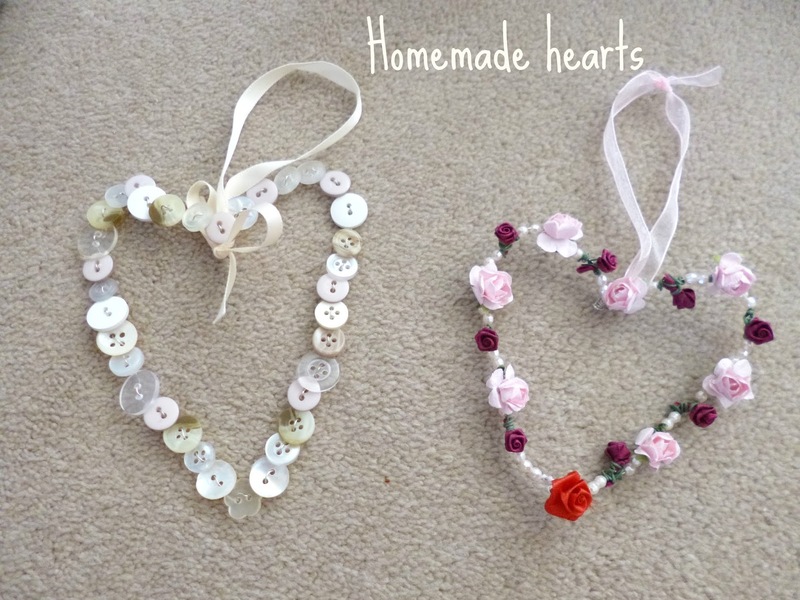 I made these hearts myself to take to uni with me,they were so simple to make and just required wire,buttons and flowers from card toppers. Let me know if you want full instructions on how i did it. Above is my noticeboard at home and its how i will hopefully style the one i have in my uni room! 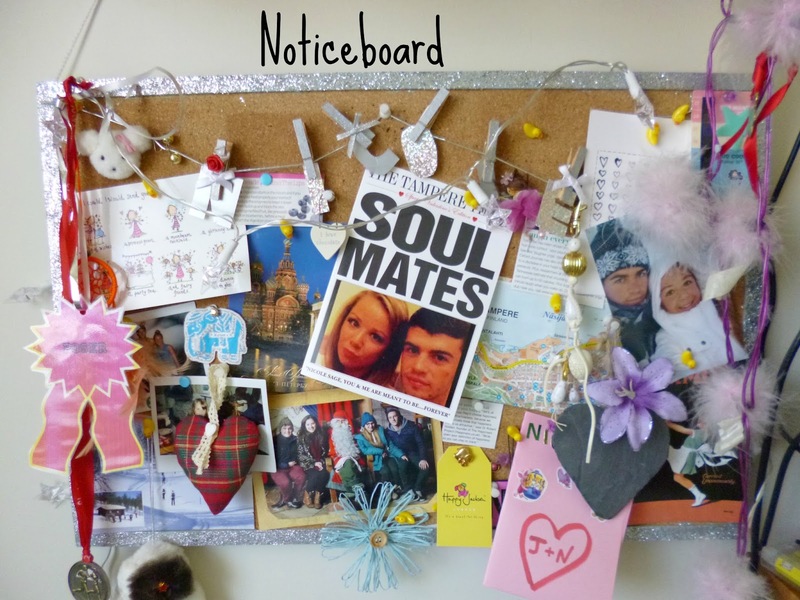 I love noticeboards as you can make them as personal as you want them,with memories,pictures,tickets,inspiration,quotes etc and i find it such a nice thing to look at! 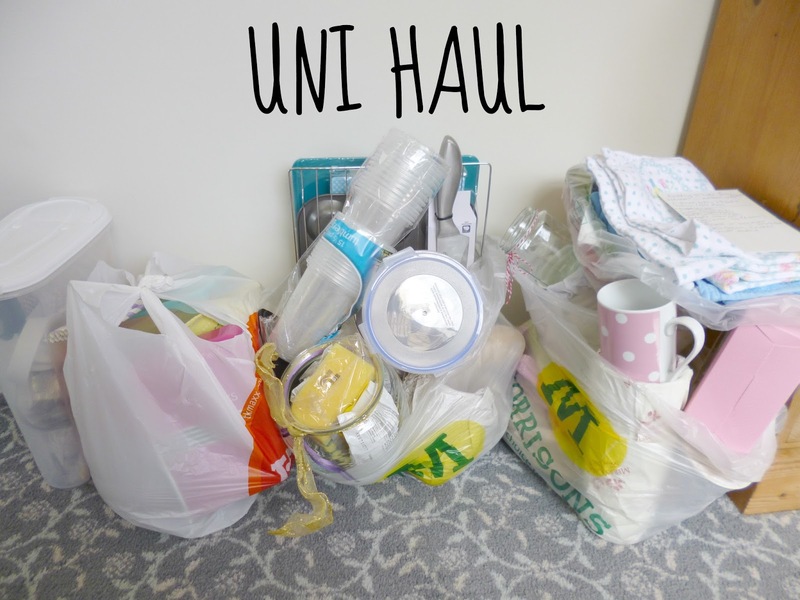 I hope you enjoyed my uni haul post,sorry its so long!! What do you think of my purchases? Are you starting or returning to uni soon?